As Jenaya, Josiah and John (dad) were photographing this Rocky Mountain Bighorn Sheep ram, he started grazing his way along a narrow ridge above a steep mountain valley. Jenaya quickly switched out her telephoto for a landscape lens to capture the beauty of the setting in Waterton Lakes National Park, Alberta, but she didn’t expect what happened next. 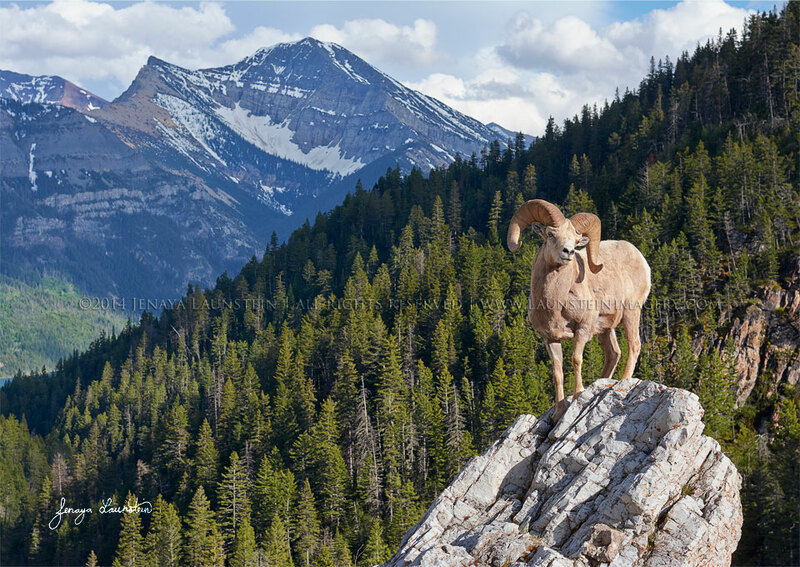 As if on cue, the handsome ram climbed up on top of a rocky outcropping and struck pose after pose, much to the joy of three shutter-happy photographers!